A plane has been destroyed after it smashed into the ground just moments after it took off from a Canadian airport, Daily Star UK reports. 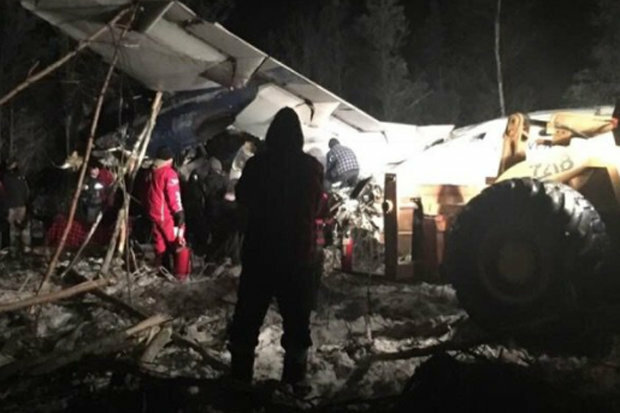 The aircraft was reportedly carrying 25 people when it took off from Fond-du-Lac airport in Saskatchewan. Emergency services raced to the crash site along with search-and-rescue teams in a desperate bid to locate survivors. Several people suffered injuries, but there were no reports of fatalities. Officers found the aircraft less than one mile away from the airstrip. The Transportation Safety Board of Canada will investigate the crash. The crash is believed to have happened shortly after 8pm, local time.